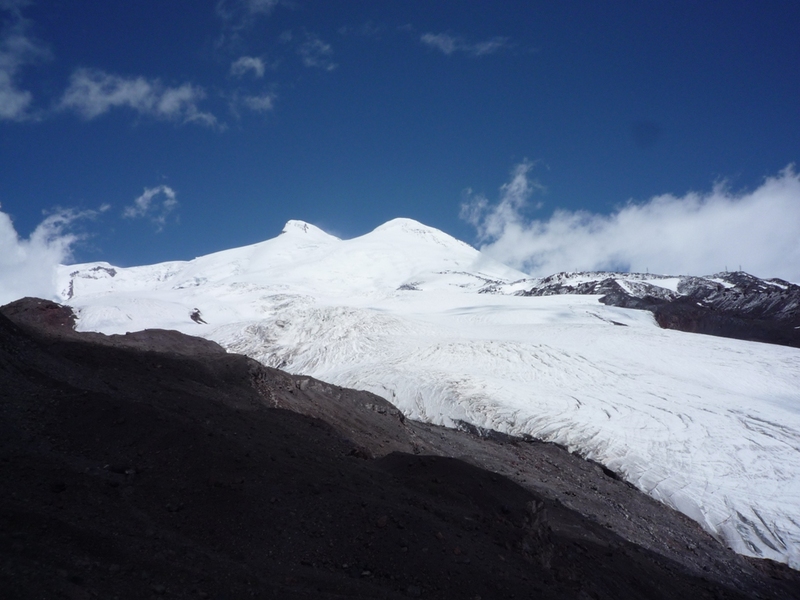 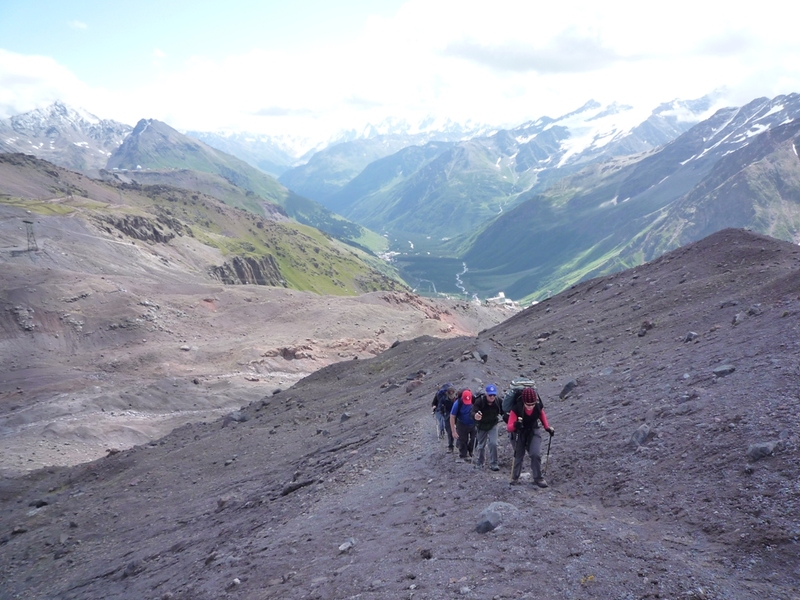 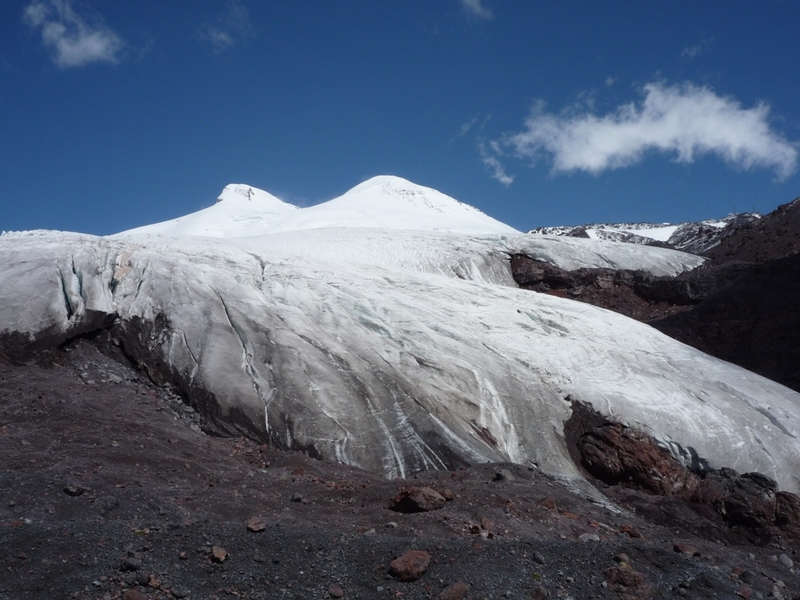 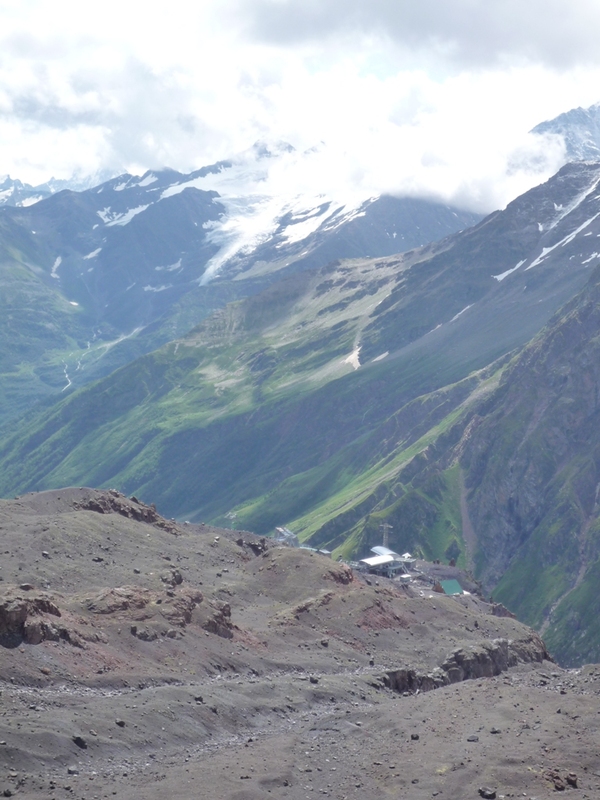 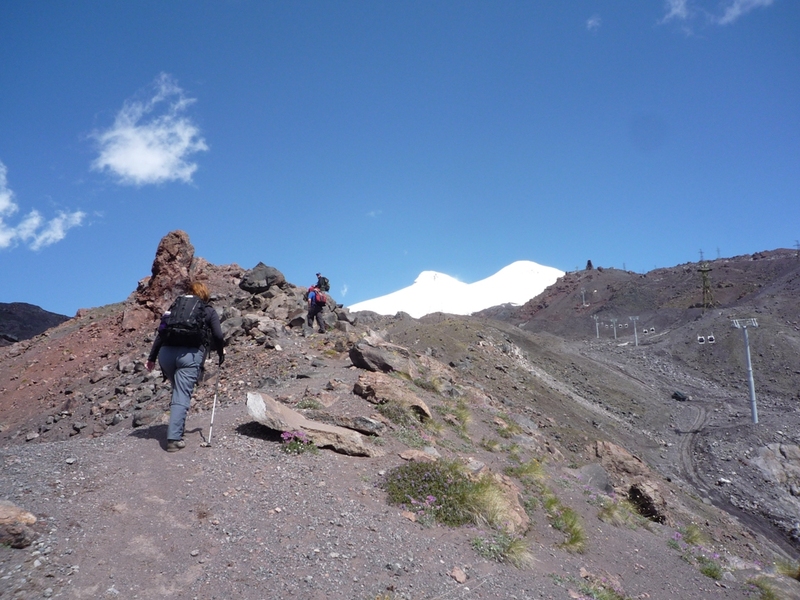 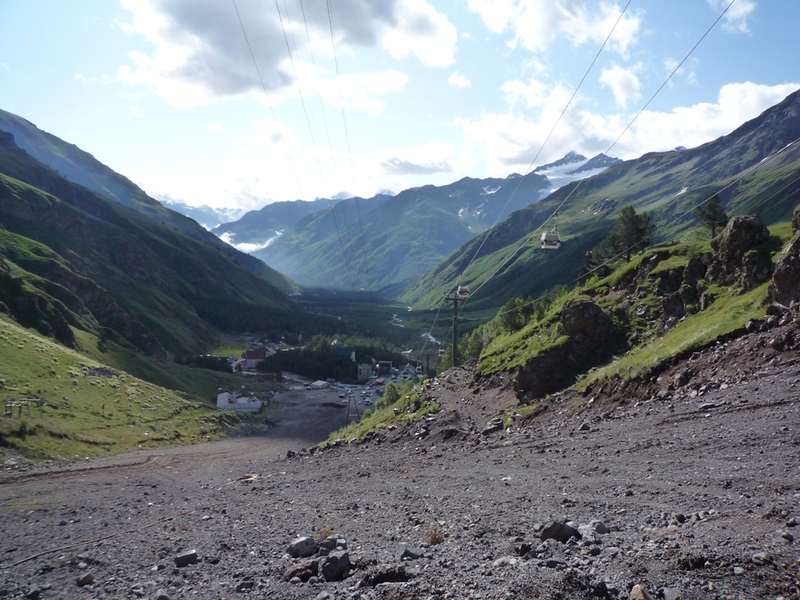 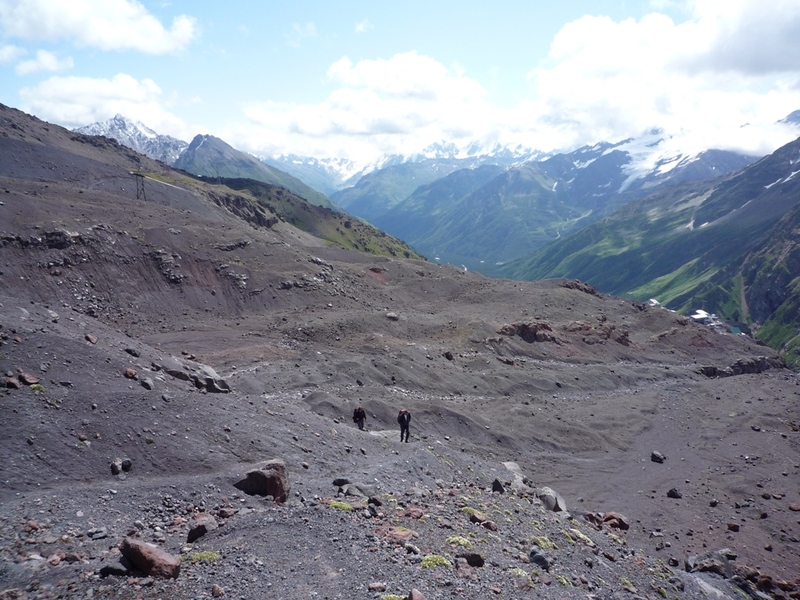 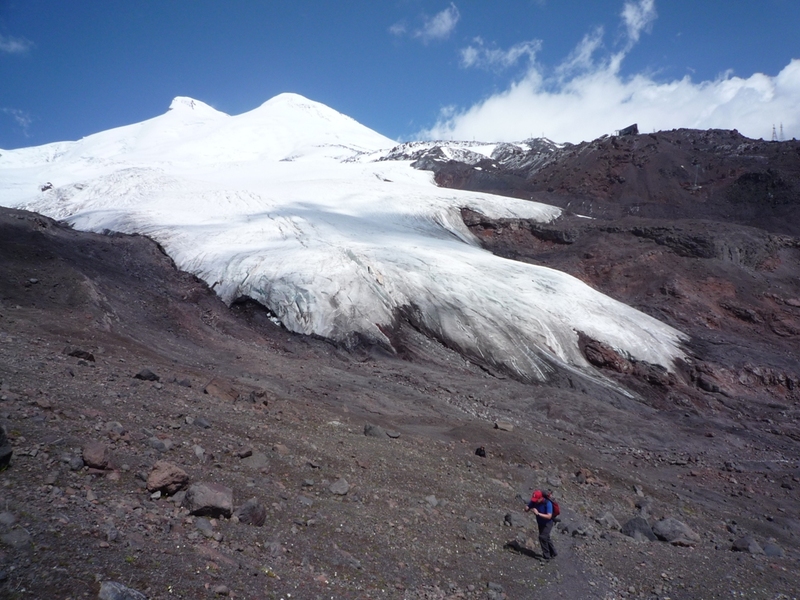 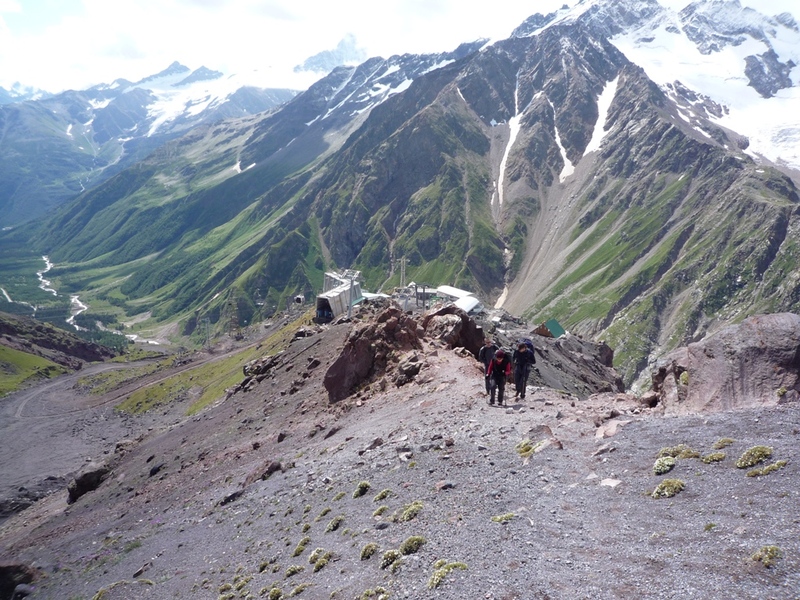 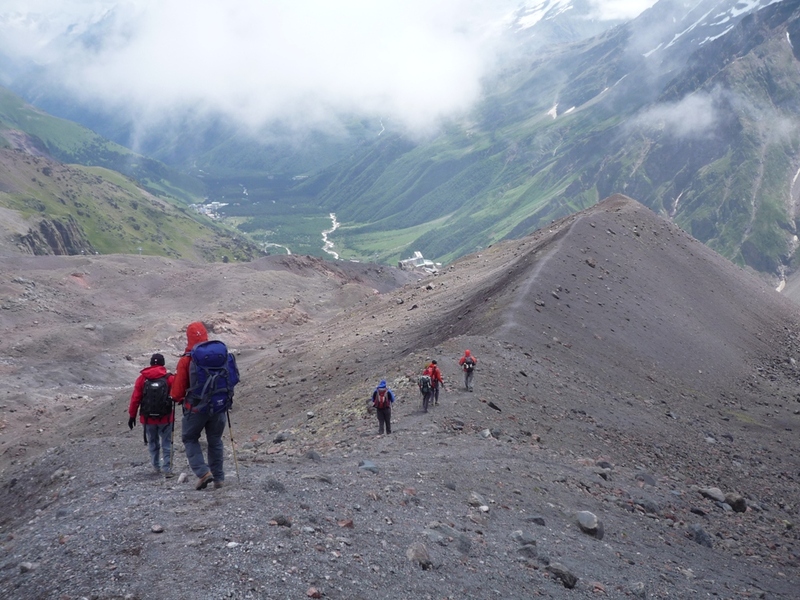 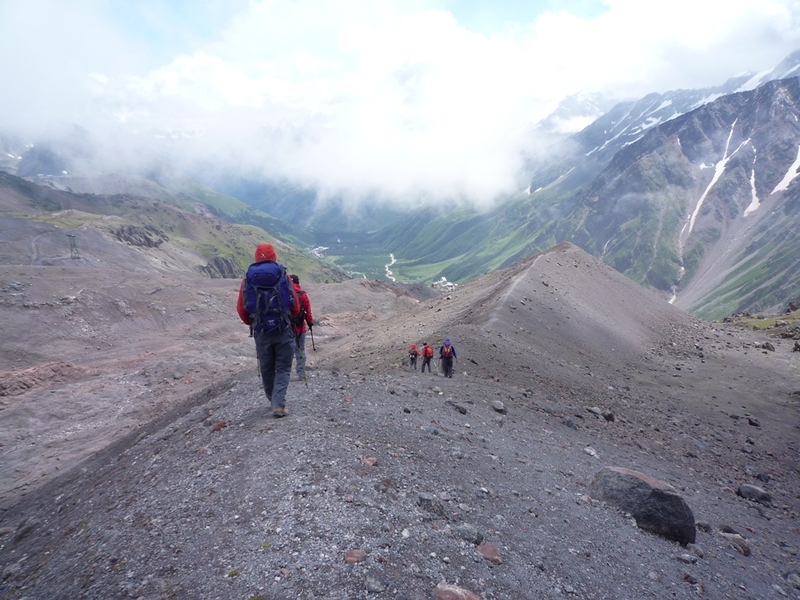 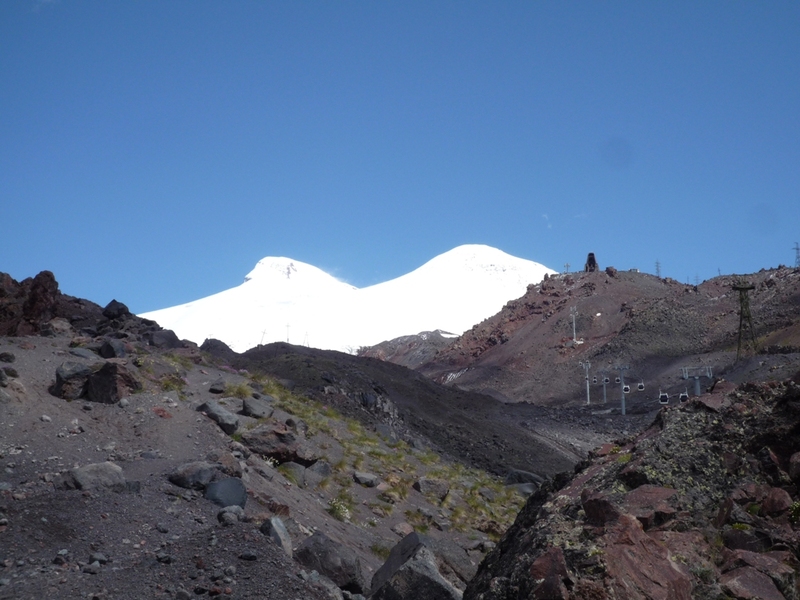 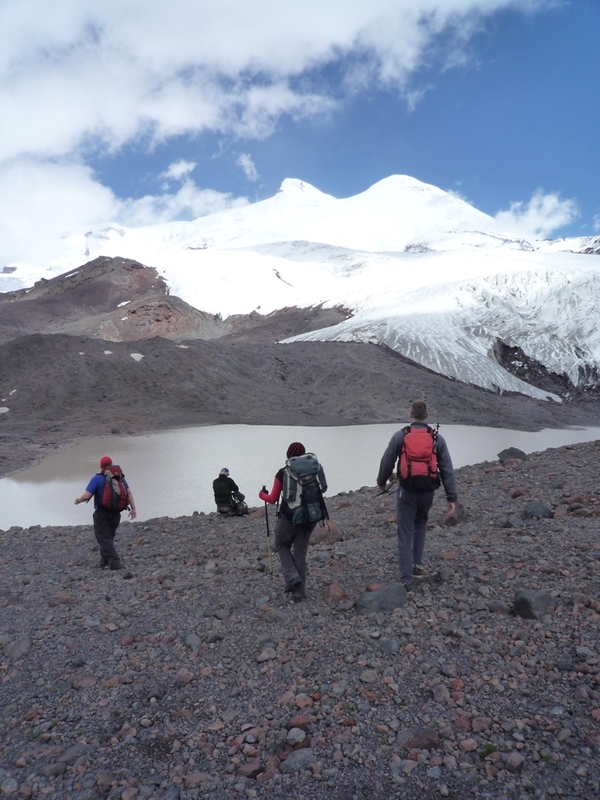 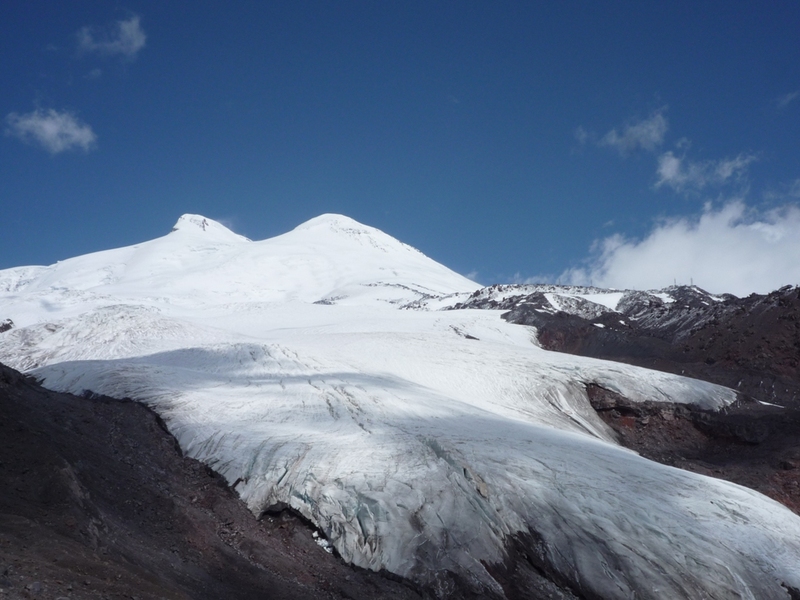 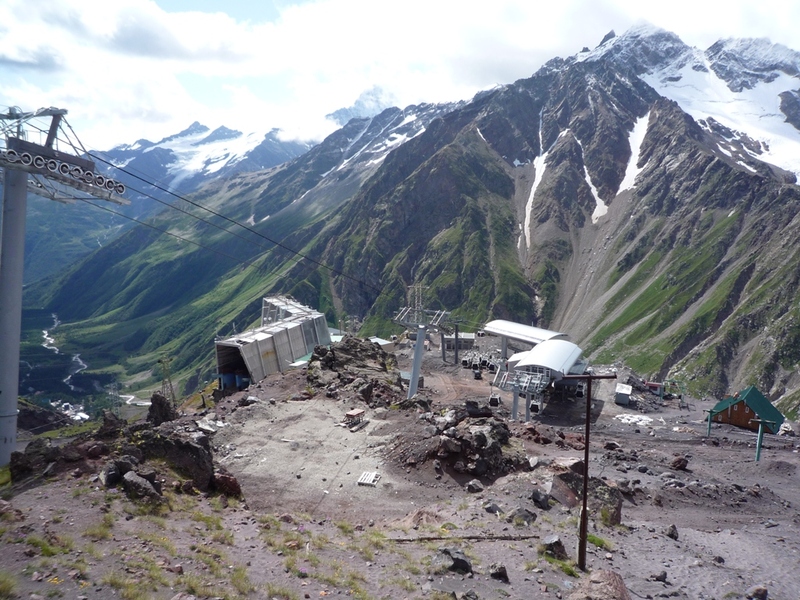 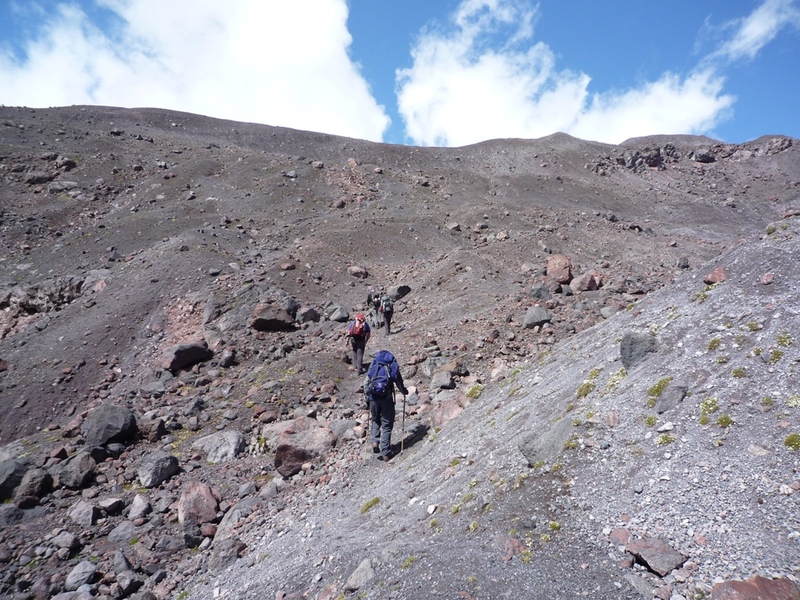 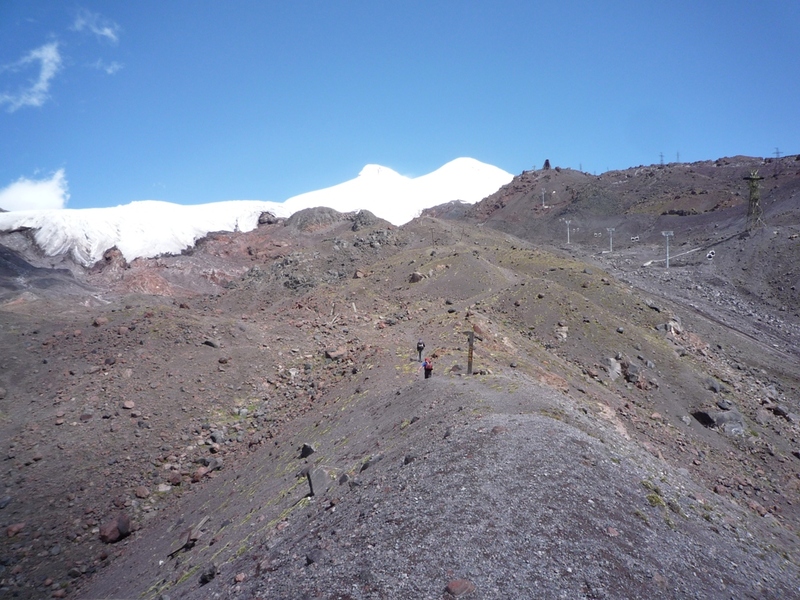 From the Azau Glade the group ascends to the lower station of the aerial tramway to Mount Elbrus. 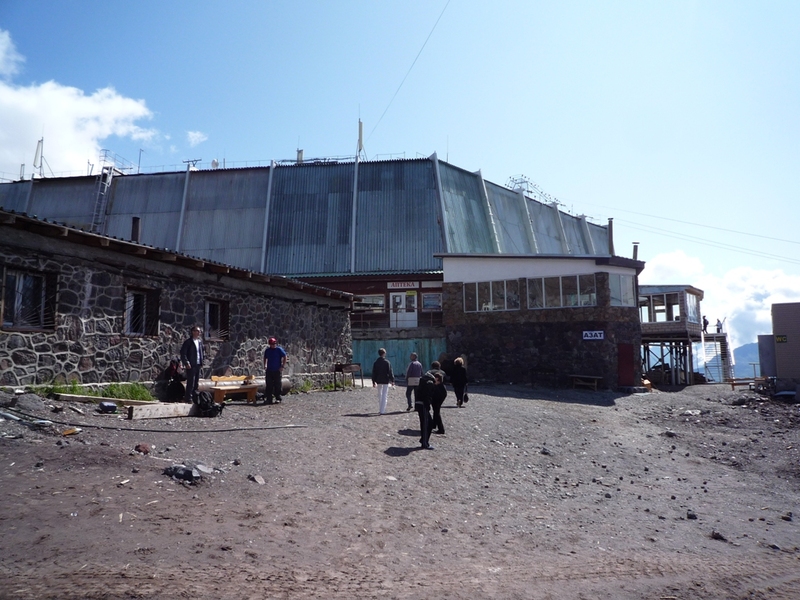 The cabins with the capacity of twenty-five people are taking the tourists to the platform of the Stary Krugozor Station. 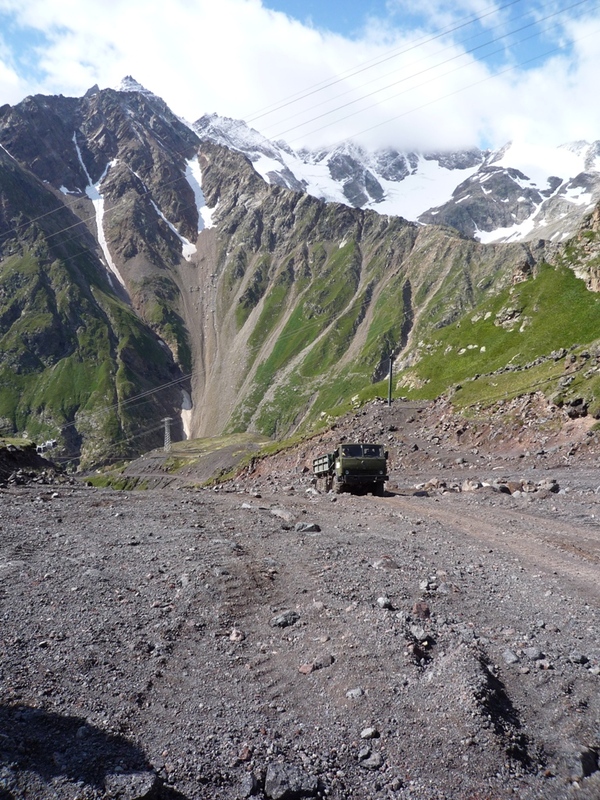 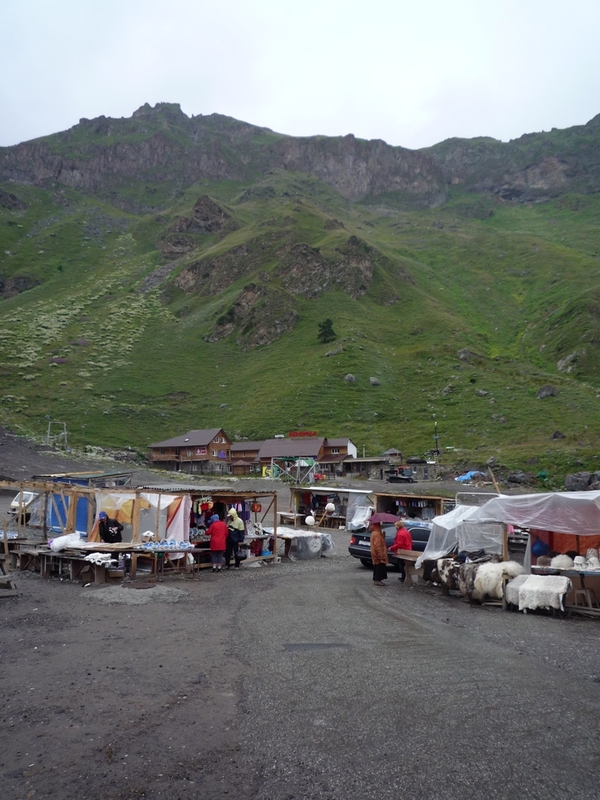 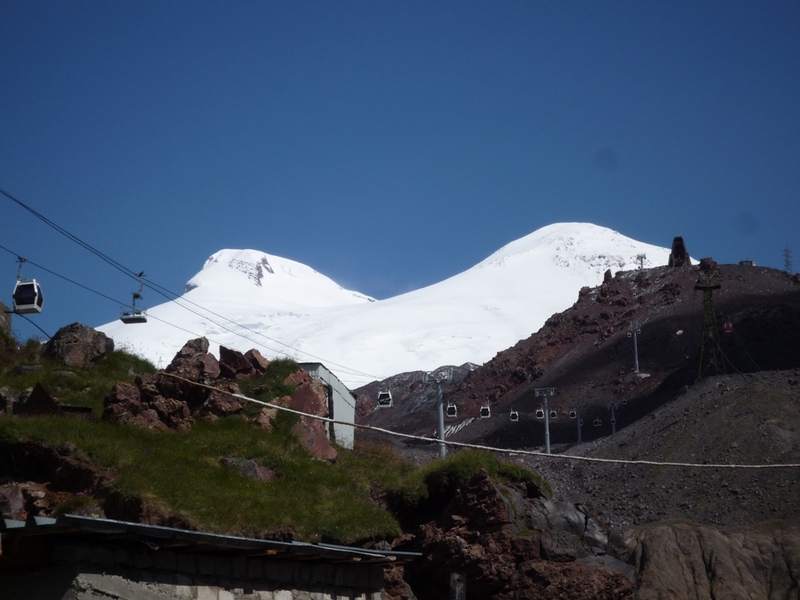 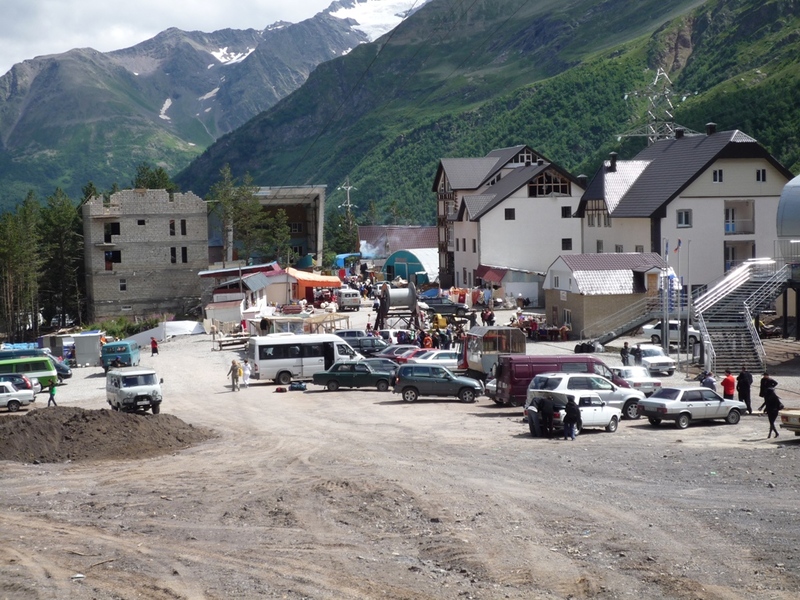 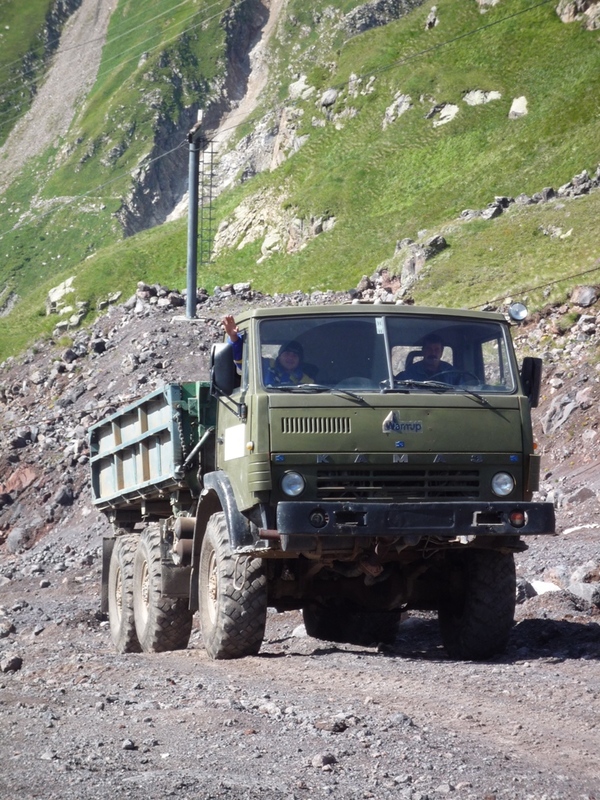 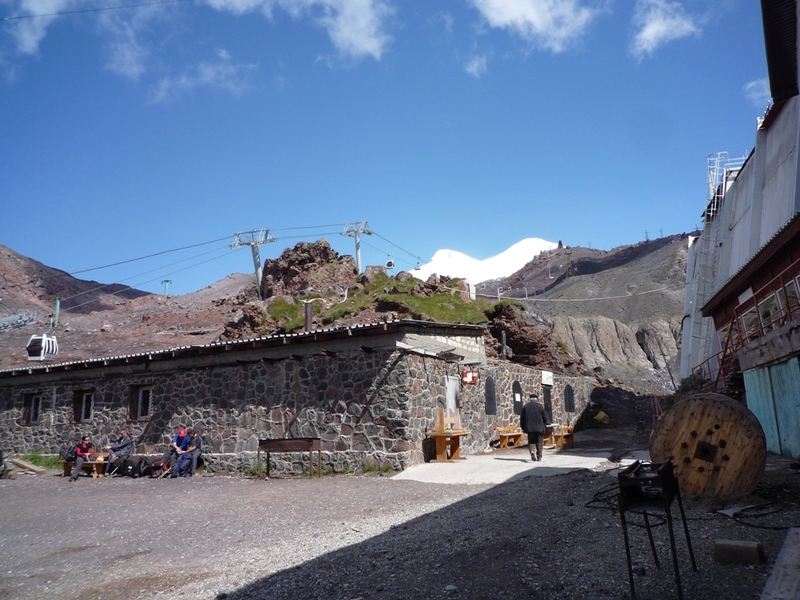 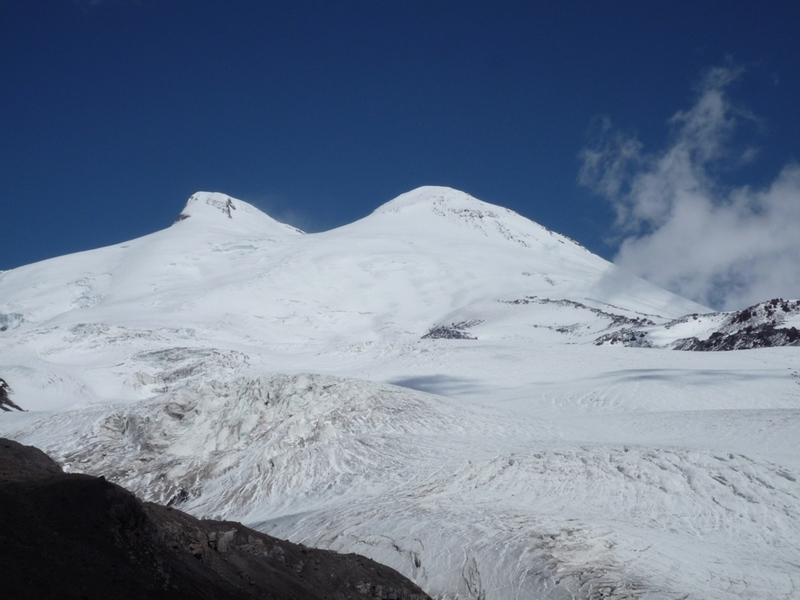 From the Stary Krugozor Station the tourists go up the moraine to the Maly Azau Glacier. 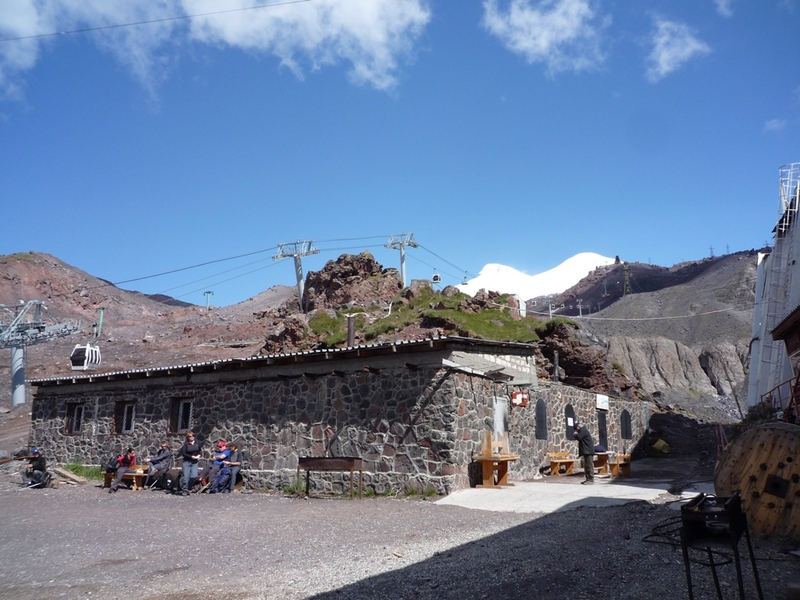 Near the foothills of the glacier there is the rest place. 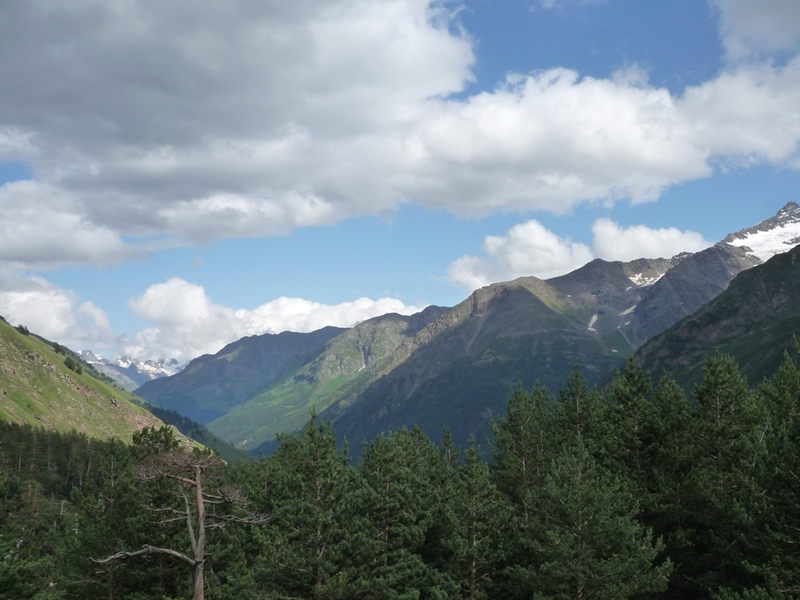 View of the Greater Caucasian Range. 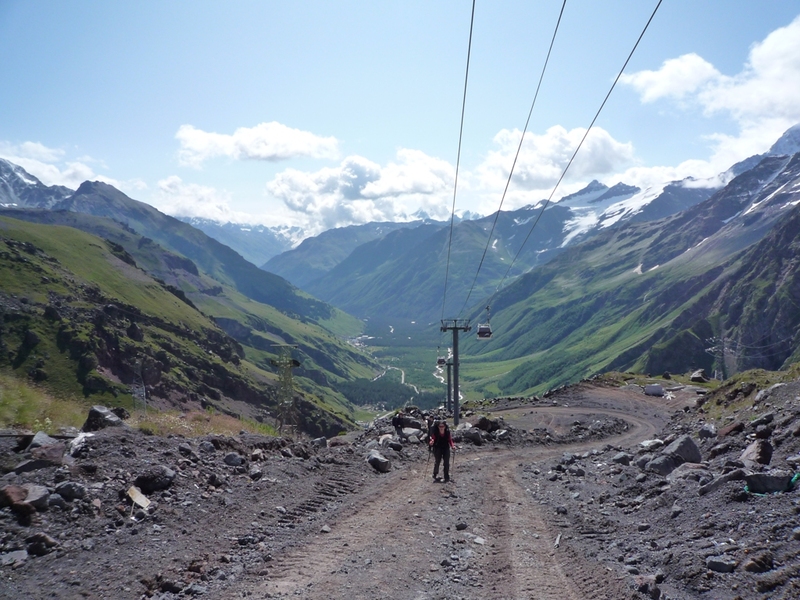 Don’t go beyond the mark “The end of the route”. 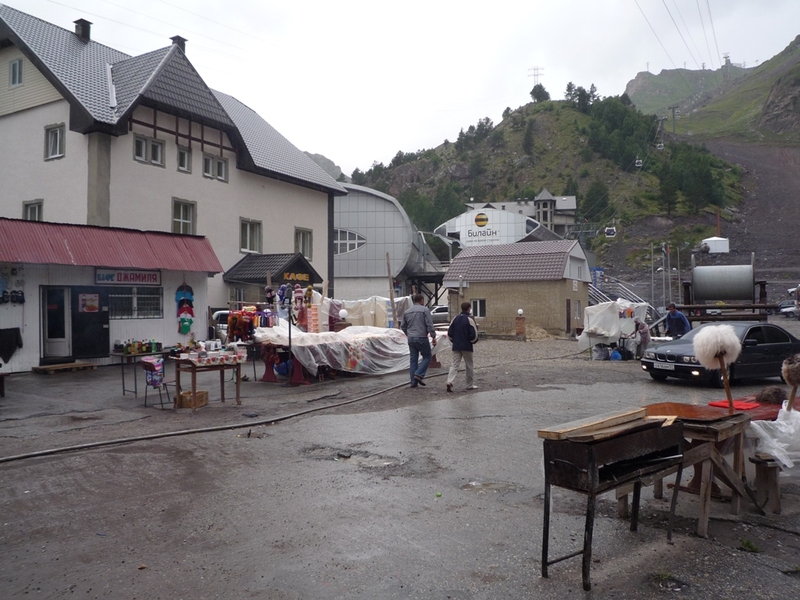 The motion of the group during the snowstorm and snowfall is forbidden. 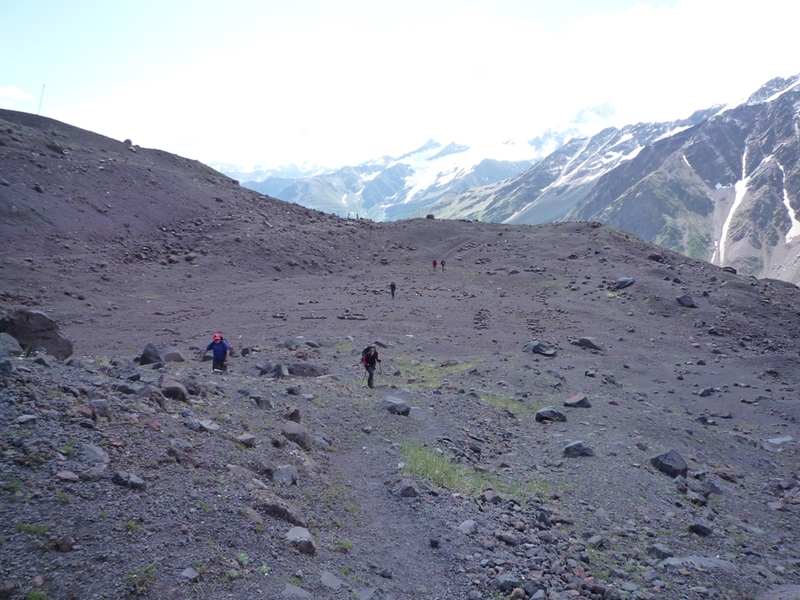 The descent route is the ascent route.